The United States formally withdrew from the original TPPA in January 2017, killing the agreement. It now appears likely that an agreement based on the TPPA (known originally as the TPPA-11, then rebranded as the CPTPP) will go ahead. The Labour Party, despite saying they’d refuse to support ratification of the TPPA and demanding independent economic and health analyses, and promising a new inclusive approach to trade and investment agreements are planning to sign the TPPA-11 on 8 March 2018. The text for TPPA-11 is the same as the original TPPA, with a small number of provisions suspended until the United States rejoins. The negotiations are still secret. The threats to our regulatory sovereignty remain the same. Visit www.DontDoIt.nz to sign the comprehensive petition seeking Parliament to reject the TPPA, and to ensure that a fair and democratic process is adopted for future trade and investment agreements. When it first became obvious that the US was going to pull out of the TPPA, there was some discussion from the remaining countries about a new agreement going ahead without the US. The idea was initially widely dismissed, not least of which by Japan’s Prime Minister, Shinzo Abe, who described such an agreement as “meaningless“. If the TPPA made no sense with the United States involved, it makes even less sense without them. Despite this, the prospect of a TPPA without the US (“TPPA-11”) is gaining ground in light of the surprise 180 degree turn by Japan, who are now pushing for the agreement. Senior trade officials from the TPPA-11 countries met in early April, followed by a full Ministerial meeting on the sidelines of the APEC conference in Manila later in the month. At the conclusion of that meeting the TPPA-11 countries issued a statement recording that they would begin working towards an agreement based on the TPPA in advance of a further ministerial meeting in November 2017. 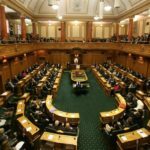 Even better for New Zealanders, the new Labour-led coalition government is likely to throw a spanner in the works of the TPPA-11 given the Labour Party’s desire to regulate foreign ownership of existing housing stock and farmland (which would breach the TPPA as it currently stands) and the strong opposition of New Zealand First and the Greens to the agreement. 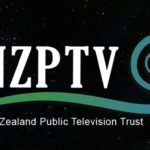 Whether or not the TPPA-11 is signed on March 8, it will still need to be ratified by the New Zealand Government before it comes into force. 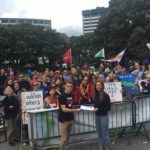 Visit www.DontDoIt.nz to sign the comprehensive petition seeking Parliament to reject the TPPA, and to ensure that a fair and democratic process is adopted for future trade and investment agreements.